Chepstow Bounce 4 Charity Our Obstacle Course has everything. It’s designed to be physically challenging but also loads of fun. 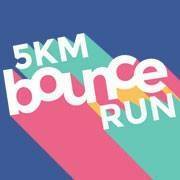 No reviews yet for Pontypridd United Kingdom 5Km Bounce Run 2018. Click here to be the first! Our Obstacle Course has everything. It’s designed to be physically challenging but also loads of fun. Bounce your way through, up and over the inflatables while also tackling traditional army assault course challenges along with a few hilarious suprises added in. As well as 500 feet of inflatables, you’ll find yourself clambering over obstacles scrambling under cargo nets and tip toeing through tyre’s. There’s even a 25 metre Slip n Slide and our 100 square metre Big Ball Foam Pool. Suitable for beginners, novices and fitness enthusiasts alike, you can choose to put whatever you want in to the course as you go around. All of our 5k events allow spectators FREE entry. There will be coffee, also a BBQ along with a licensed bar selling both alcoholic and non alcoholic drinks. There will be music food and drink available until 10pm. Make a day of it! Please see our obstacle course race discount & promotion page for all the latest discounts, promos, promotions, discount codes, and coupon codes for Pontypridd United Kingdom 5Km Bounce Run 2018. There also may be one listed at the top of this page.